Which is the blackest black possible? One that captures all the light reaching it, so that nothing is reflected and nothing reaches the eye of the observer. 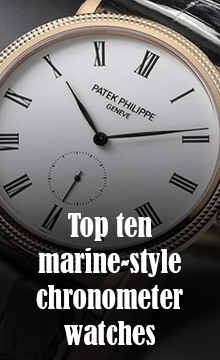 It must be something of a contemporary obsession at the moment, because not one, but two brands present at watch fair SIHH in Geneva, January 2017, presented watches claiming to feature the blackest material ever produced by man. One is Panerai, with its LAB-ID in which the dial is coated in Carbotech, and the other is the Sequential One S110 Evo Vantablack by MCT Watches (Manufacture Contemporaine du Temps). Like Carbotech, Vantablack, developed by Surrey Nanosystems, consists of carbon nanotubes which absorb 99.965% of light reaching them. It attracted the interest of artist Anish Kapoor, who said, “it’s the blackest material in the universe, after a black hole; a physical object that is impossible to see”. 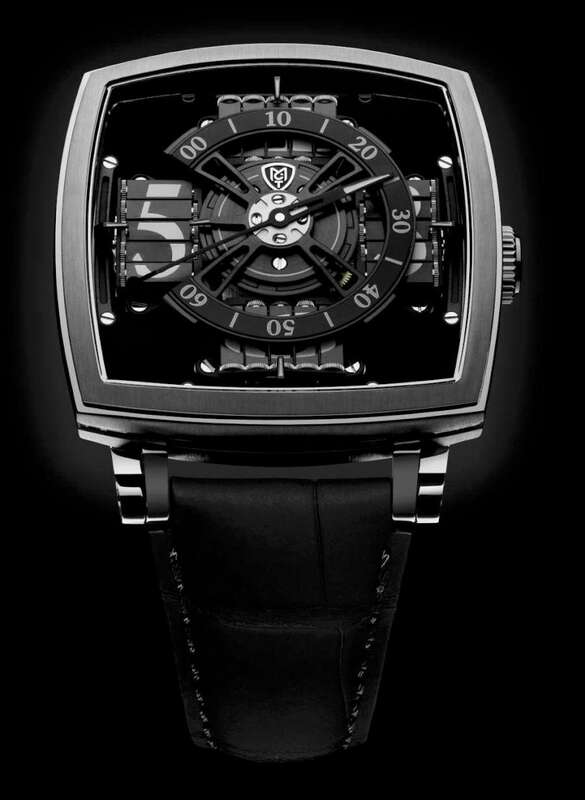 Kapoor bought the licence to use this material, and so when Pierre Jacques, CEO of MCT Watches, found out about Vantablack, he decided to embark on a collaboration with Kapoor in order to be able to use it in a watch. Each watch in the 10-piece limited edition is signed by Anish Kapoor. Vantablack is used on the dial lying below the display mechanism, and on one end of the minute hand. The result is that the movement, which in this watch is in full view, seems to be suspended in mid-air, and the small moon forming the counterweight on the minute hand seems to disappear when it comes above the back-dial. 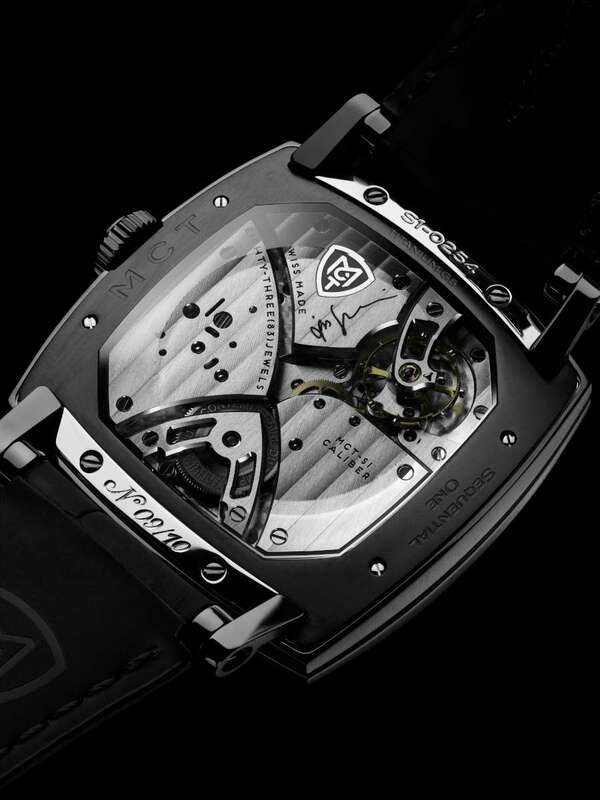 This primordial blackness is housed in a case in black DLC-coated titanium. The movement is based on that of the Sequential One S110 Evo, with 471 components and 81 jewels. The display shows hours by means of rotating prisms, and minutes using the hand that rotates through 270°. 270° is enough, because after one hour, the C-shaped ring with the minutes scale rotates anticlockwise to reveal the next set of prisms. This unusual form of time display is illustrated in MCT’s video of the Sequential One. The watch has the MCT-S1.0 hand-wound movement, designed and assembled by MCT. The balance runs at 18,000 vibrations per hour, 25 Hertz, and power reserve is 50 hours. The case is 45 mm across and 15.5 mm thick at the centre. Water resistance 3 bar/30 metres. The MCT Sequential One S110 Evo Vantablack is reference SQ 45 S110 VANTA 01. Its price is $95,000 plus tax.